DBS’s Dan Atkinson is celebrating having been at the company four years. 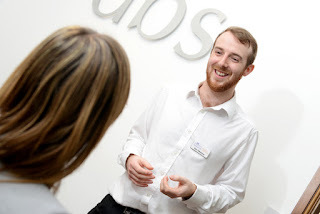 Dan joined DBS at the end of March 2015, and has since played a huge role in the company by taking over running our Pay Per Click department when Julie Priestley became Director, as well as playing a key role in using Google Analytics and setting up social media campaigns for clients. Dan has a degree in Sound and Vision Technology, and so is a qualified videographer. He has put this to great use over the last four years making videos for a variety of clients, as using video for marketing has become increasingly popular. Outside of work, Dan has a strong interest in music and has founded an independent record label that supports and promotes artists as they attempt to break in to the mainstream market.